Minetto, a town located just south of the City of Oswego in Oswego County, has about 1,600 residents, and was, at one time, a textile mill town. Michaels & Smolak has represented many accident and malpractice victims from the Minetto area, such as a man who sustained multiple upper body injuries after being involved in a motor vehicle accident when another vehicle pulled out into his lane of travel. Although Michaels & Smolak has no office in Oswego County, it has offices in Syracuse, Liverpool and Auburn and travels to Oswego County to meet with its clients there. 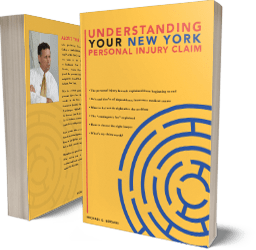 The firm represents personal injury and medical malpractice claimants from all over upstate New York, and appears frequently in the Oswego County Courthouse where it advances its clients’ cases and tries them in front of Oswego County juries. The firm has documented success in trying and settling accident and malpractice cases. Some of the firm’s results can been seen on the firm’s website. Michaels & Smolak’s lawyers’ bios, awards and honors can be viewed on the website as well.